Snowbord Lessons｜Gymnastics lesson which leads to a child's confidence! The gymnastics private teacher is performed in Gumma. 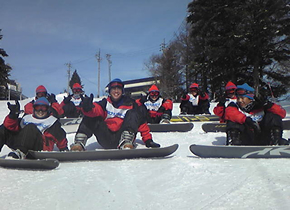 1.Trainees are taught how to set up their board safely. 2.After performing efficient stretching exercises, you begin training. 3.You will end with a cool-down period to reduce next day fatigue. 4.During the training session we can record and show you your performance(reservation required). Please note,a copy of the recording is not providee. ・Number is limited to a maximum of 5 people. 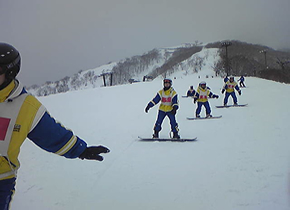 ・The greater the number of peaple,the less amount of time you will have to snowboard. 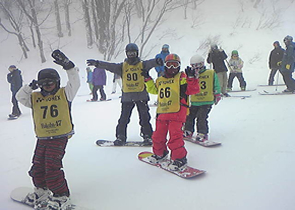 ・In some cases,such as lift suspended service due to poor weather after the atar the start of the training ,there is no refund, but we would use the time for snowboard related excercises. 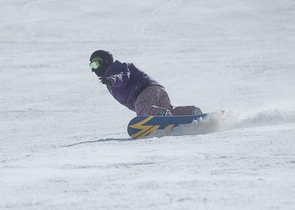 ・Please organize your own equipment rental and lift tickets. ・If you are late for your reservation time, you will be correspondingly reduced training time. ・Sports Love Agent does not take responsibility for any accidents or injuries. Regular Holiday When the coach is competing in tournaments. Copyright © Sports　Love　Agent All Rights Reserved.